MORE REAL ESTATE CLASSES / IN MORE PLACES! Let Professor Jim Barry, the Master Edutainer teach you. Not your ordinary run-of-the-mill classes. Treat yourself to something special! Interactive, entertaining AND educational. We’ve saved a seat just for you! Our classes stay small due to the fact we offer so many! We can easily accommodate any person who shows up. Our program offers many classes each month and we can guarantee you will get a great seat at any class you wish to attend. 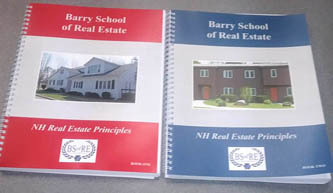 The 40-hour course is approved by the NHREC as a prerequisite for a New Hampshire salesperson license. 40-hour Accredited Real Estate Licensing Class! There are 10 classes, total 40 hours. You select a class: 1 – 10, in ANY order, ANY location and ANY time! The classes are modules and are not meant to be taken in any particular order. Come to any class to begin! Pick and choose classes that work around YOUR schedule. We WORK for you. We are recognized as the ultimate expert and source of information about Real Estate-related issues and topics. We offer morning, afternoon and evening classes in various locations throughout NH. Small class size, like going to a private school! Lots of interaction and personal attention. Have a group of people interested in going for their sales and/or broker’s license, no problem, we will come to you (minimum number required). Classes are never “cancelled” due to low enrollment, with more classes being added all the time. You may repeat any classes you wish, as many times as you wish within your four-month period (time starts from the date you sign up). You can return to ANY class if you do not pass the exam for FREE – within your four month timeframe. Review is covered throughout the course. We have built review into the 40-hour program. You are not subjected to a weekend review. Rather come to us for as much extra review as you wish when convenient for you. We are proud of our high pass rate. If you should fail the exam, you are more than welcome to return to us within the four month time period. Once you have paid us for the course, we work for you. Our primary goal is to assist you in passing the exam. 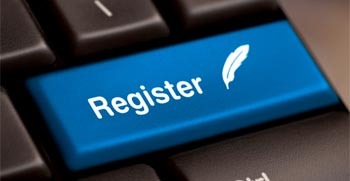 Pre-Registration is not required! Just come to class. We will register you at class. Start any day, any time. No refund once your seat is confirmed and class is not cancelled. Bring a calculator to class #6 for math. This course is for students preparing for a career in real estate. We cover topics that a student is expected to know to become familiar with in order to pass the real estate exam, obtain a real estate license, and begin working as a real estate agent. This includes a wide range of fundamental concepts, legal rules and industry practices. Hundreds of people go through our program each year! Real estate salespeople, brokers, investors, property managers. Those selling or buying for their own personal reasons. There is an exam administered by the testing company that has two parts. Each part must obtain a minimum grade of 70% to pass. We offer 10 classes of four-hour duration each. Upon completion of the 40 hours you receive an affidavit that must be turned in with application to test. Our classes are offered mornings, afternoons, evenings and weekends. You may pick and choose which classes work for you and take them in any order until you have completed the ten classes. The MOST FLEXIBLE course in New Hampshire. We offer extreme flexibility. You pick the classes you will attend and finish when you have completed the 10-class program. We have optional study materials and as well as books that no other School has!